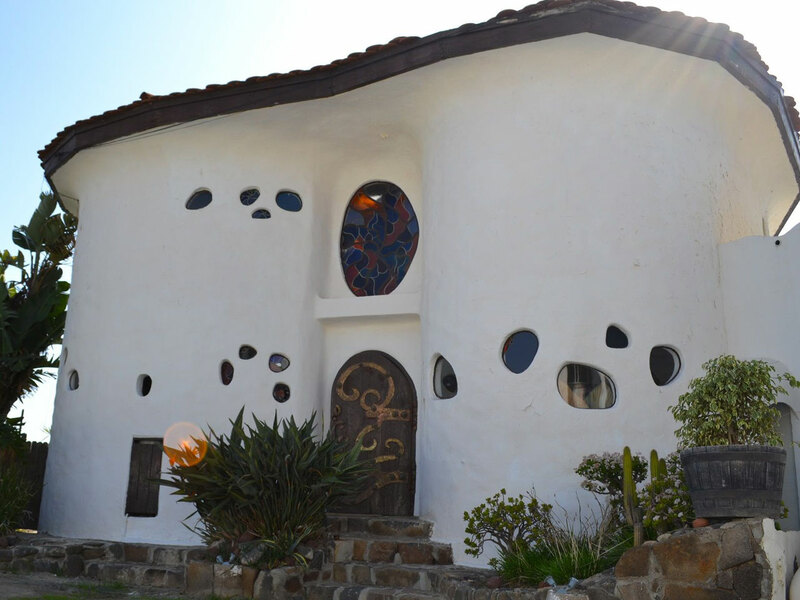 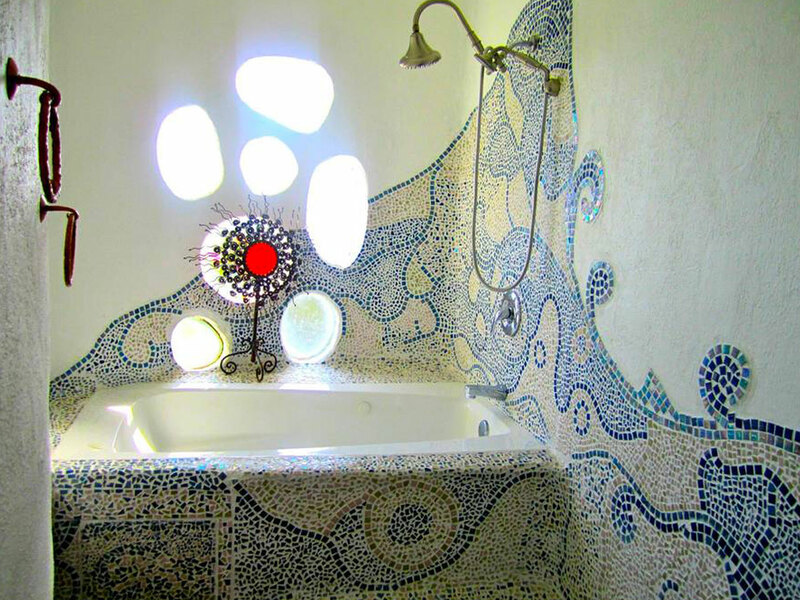 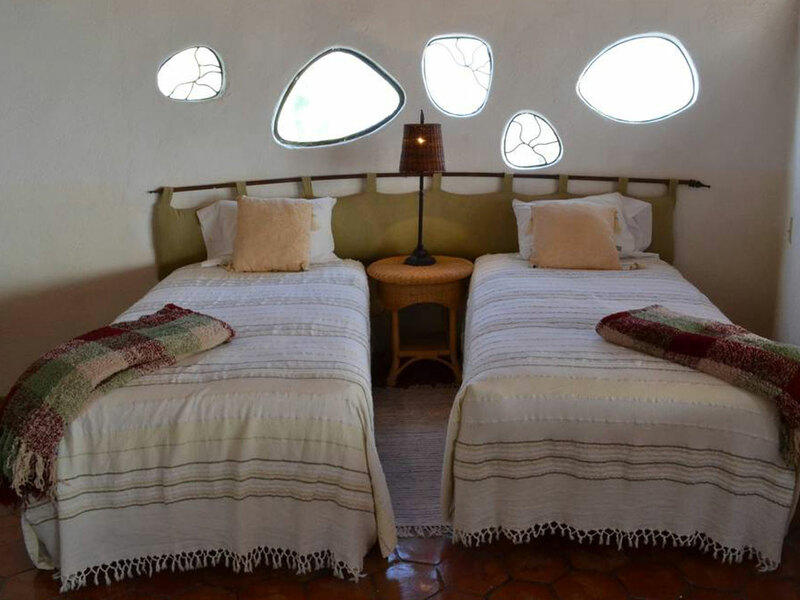 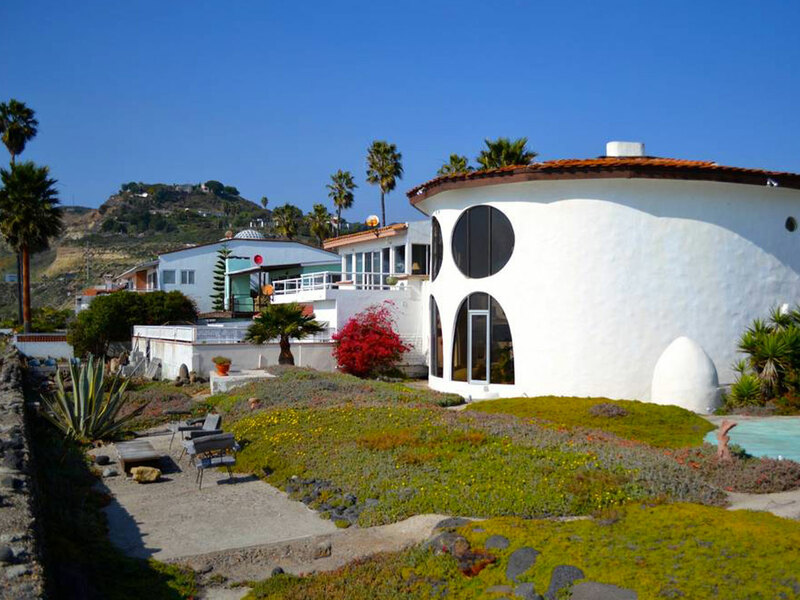 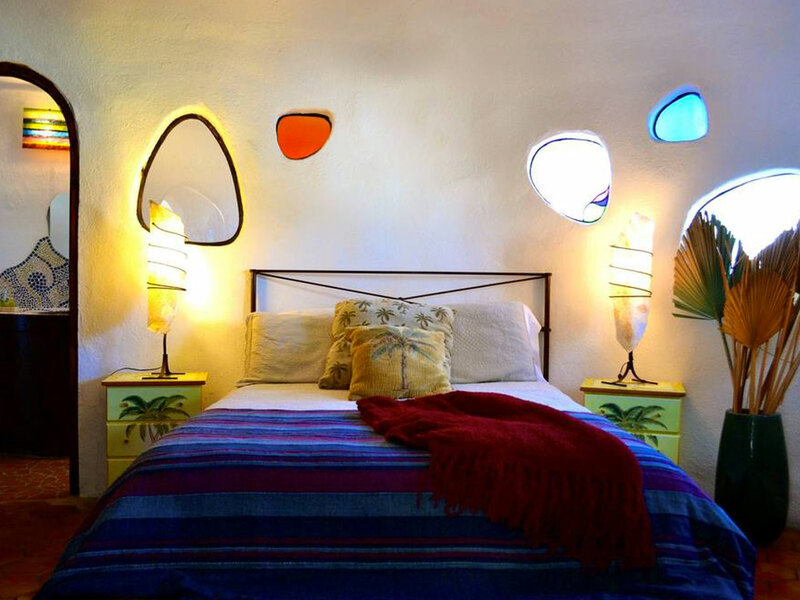 As featured in L.A. Times, Villa Bitterlin is a home filled with mosaic and stained glass decor inspired by Antonio Gaudi, and James Hubble. 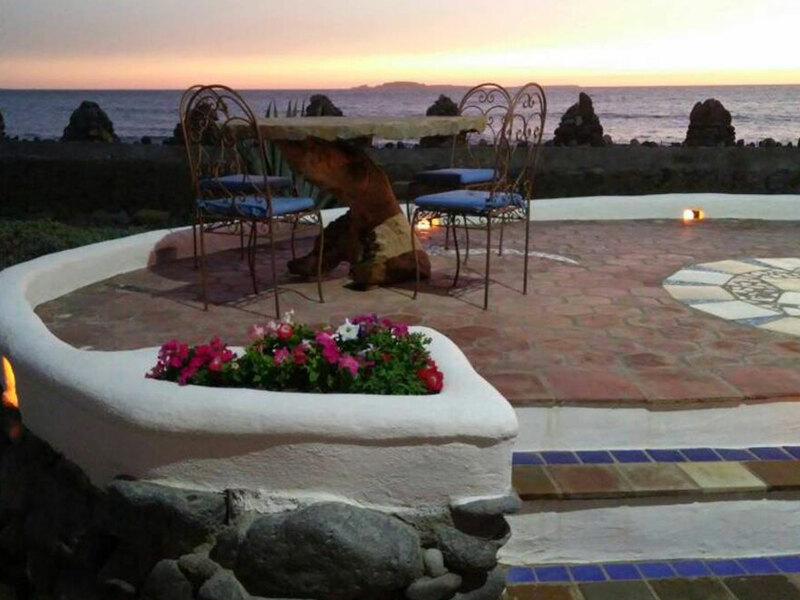 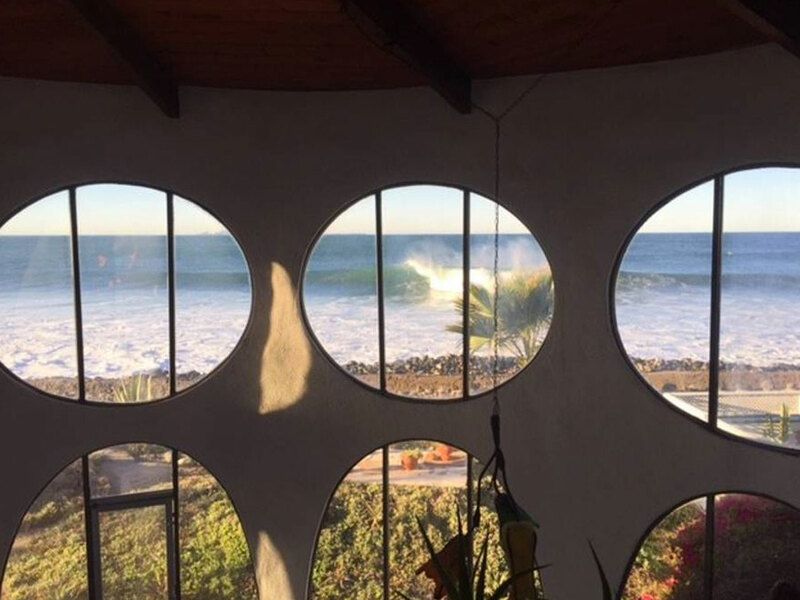 Overlooking San Miguel, Ensenada’s best surfing spot, you can feel the breeze from the patio’s front ocean view. 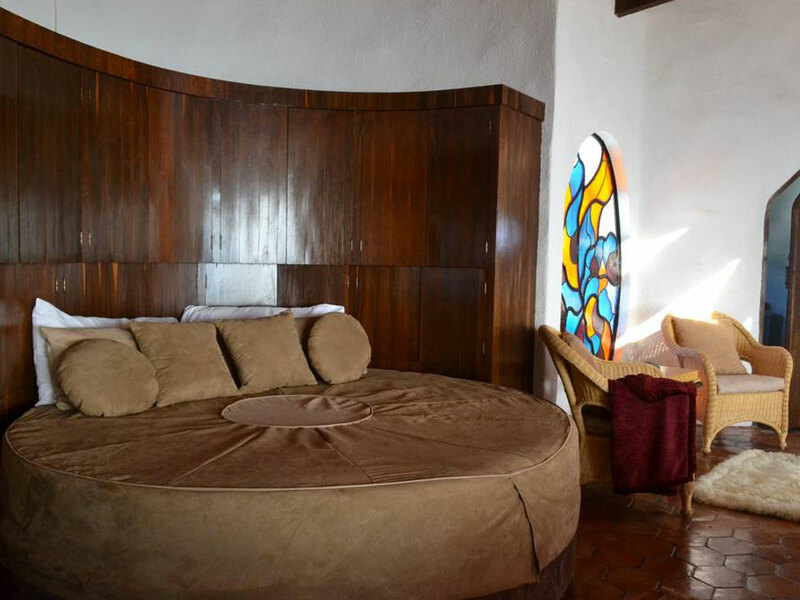 Enjoy a breathtaking experience, a continuous and intimately warm embrace as this is the feeling that surrounds Villa Bitterlin. 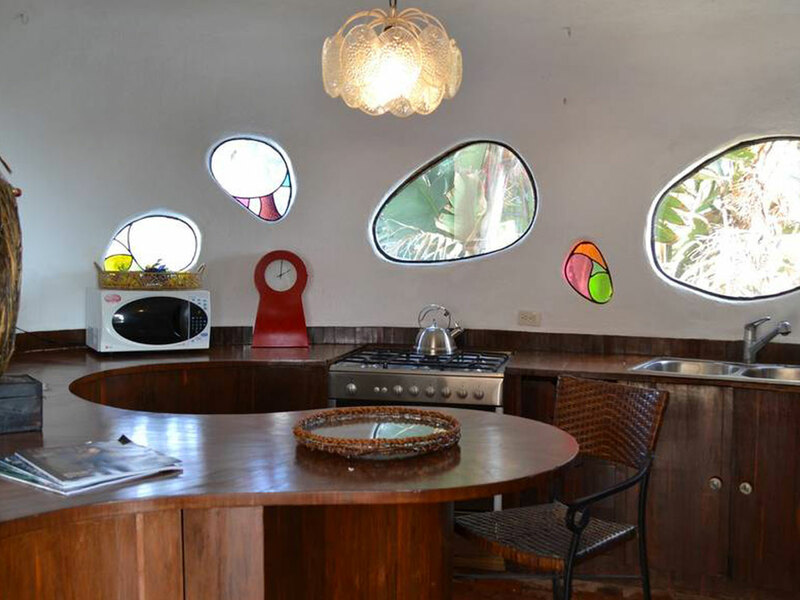 This organic construction was built by Architect Jean-Loup Bitterlin in 1970, and since then it has caught the attention of the media. 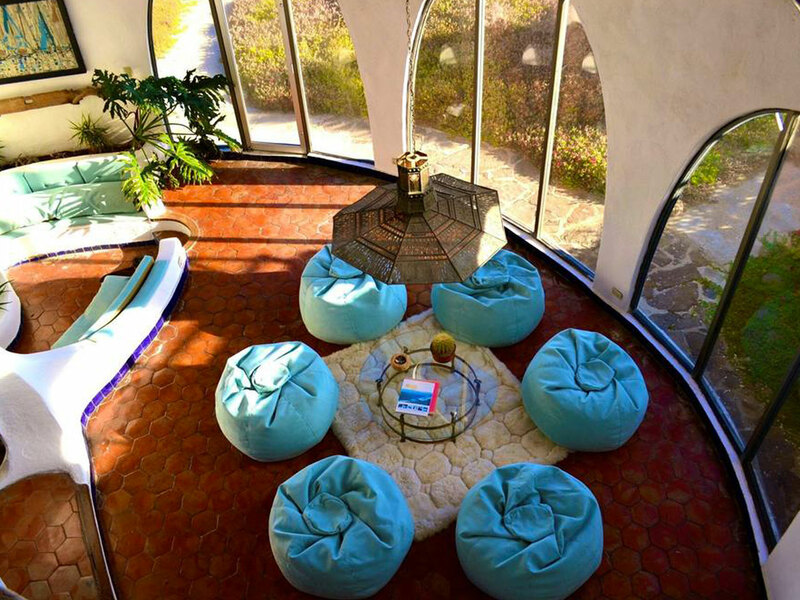 The roof is, in fact, a giant umbrella with an irregular center column that contains two fireplaces and a circular staircase. 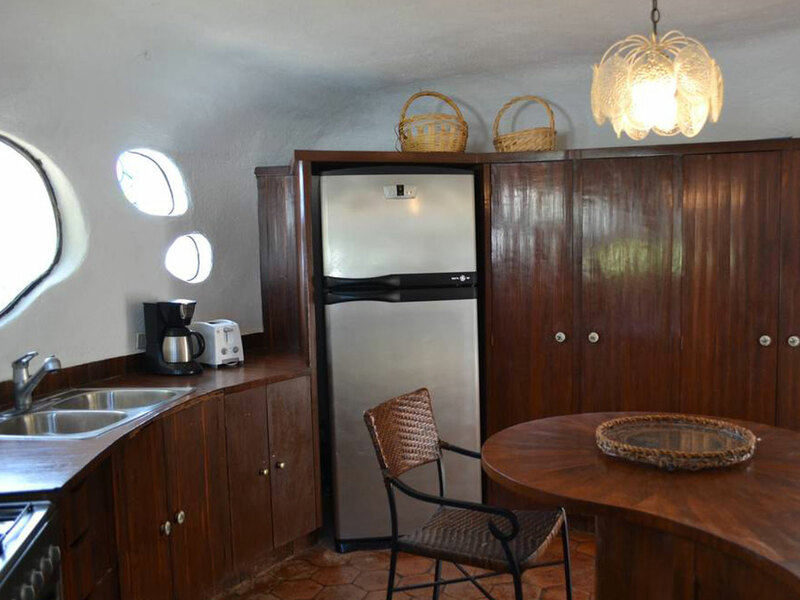 I has an openness, yet maintains a degree of privacy where needed. 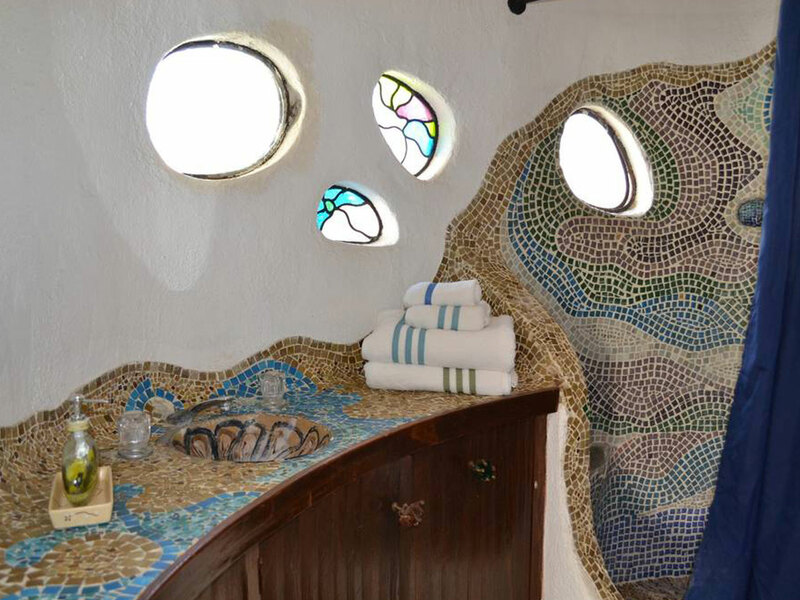 A few days by the sea in Villa Bitterlin will relax you and give you a feeling of living in a sculpture.